This module allows real-estate agencies to book and create online their (multiple) house ads themselves. The template driven automised ad-layout can generate ads up to double spread page size. 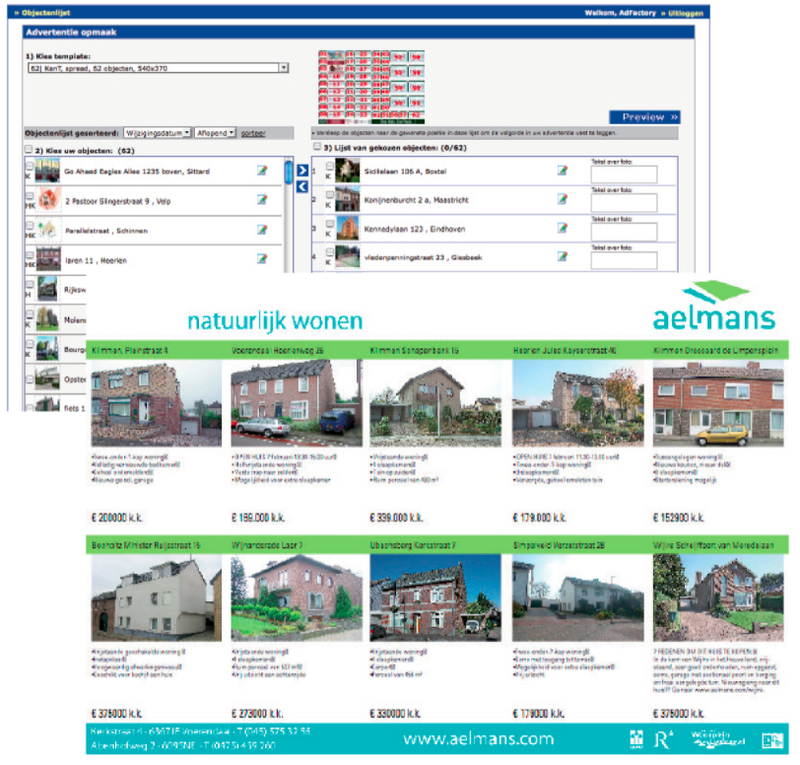 The database of the real estate agency which holds all the property data, can be used to feed the AdFactory’s Real Estate module, so that it only has to be filled in once in one place. Of course this information can be edited, photo’s can be changed/uploaded etc. The real estate agency selects the houses for the ad, defines the order the houses are positioned, and asks for a preview. Optionally text for small banners over the photo can be input for special announcements for a house (like SOLD, or OPEN HOUSE, etc.) No need for proofings and corrections anymore! When the preview is OK, the PDF can be used for printing. Since the throughput-time is really short, the ads can be generated shortly before before deadline, thus having the latest up to date information.